1) Dual Redundant Power Supply (RPS) for a Raspberry Pi. PS 1 - DC-DC converter - converts DC Input from 7V to 24V and converts it to 5V DC. Max amps 2.5A. Ideal for spare power adapters, designed for solar panels with variable Voltages etc. PS 2 - Micro-USB power input - use your existing Raspberry Pi micro USB based power supply. The two power supplies act as a pair of Redundant Power Supply (RPS) - if one fails the other takes over. The Raspberry Pi continues to operate without any failure or a reboot. The second power supply can be a battery bank, thus enabling you to create a very large UPS using an external battery bank. 2) A bread board for adding your own components or other breakout boards. 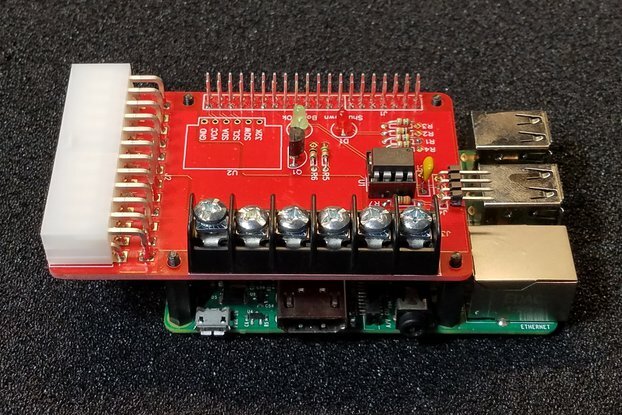 Add a Real Time Clock (RTC), Analog to Digital converter, relays etc to the bread board and connect to Raspberry Pi 40 pins. 3) Pi-BB-RPS generates its own 3.3V for I2C, GPIO electronics etc.... Does not tax the Raspberry Pi 3.3V supply. Power generated is 3.3V (from 5V), maximum 0.7A. Sufficient power for most added electronics. 4) Includes a 5V power-out port via micro USB OTG port. The 5V out is the output of RPS. If any one power supply is active, 5V is active. 5) Bread board has 5V and 3.3V active. Both buses are powered as long as any one of the power is active. 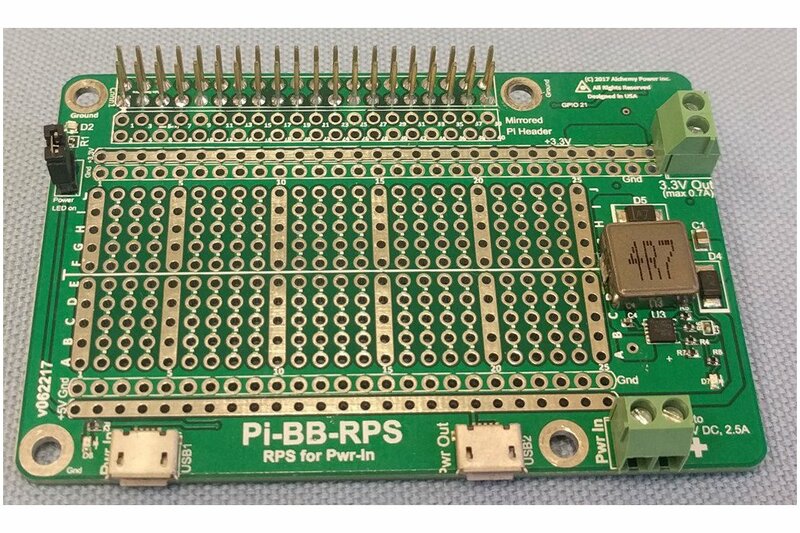 6) Pi-BB-RPS powers the Raspberry Pi through header pins. 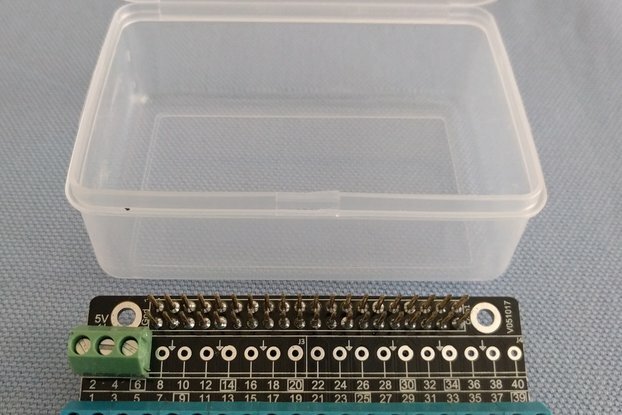 7) Has a mirrored header - so all Raspberry Pi pins are accessible. 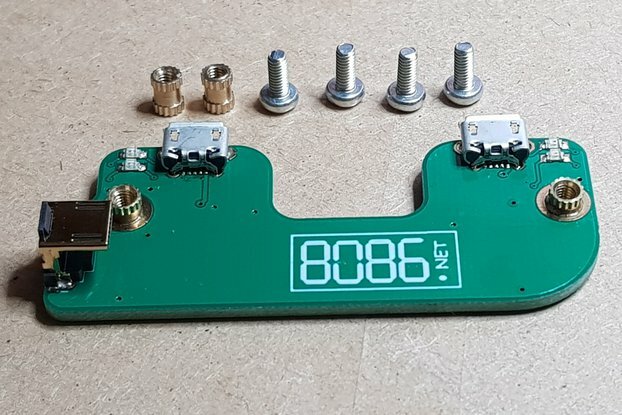 Connect devices on the bread board to build out your system. 8) Power supply status is indicated by GPIO 21. This function can be disconnected, for example, if GPIO 21 is already in use. I wanted to use an external battery bank for a solar powered Raspberry Pi (and also the solar panel to power the Pi). The solar panel provides 5V to appx 20V. I needed an efficient power converter for use. There was an existing 5V power source also available, which could be used. I wanted to create a situation that the Raspberry Pi would be powered from either the solar panel OR the 5V source present there. Also needed a Real Time Clock as the Pi was pretty much off-grid when in use. 1) Redundant Power Supply: Provides seamless transition from one power source to another in case of a power failure. There are two power sources: DC 7V to 24V (via the terminal block) and the micro-USB power port. - Power switches over from one power source to another when power failure is detected. Power switch over seamlessly and does not reboot the Pi. - Power status information via GPIO 21 on Raspberry Pi. GPIO can be disabled removing the jumper. 2) Power Supply Status: GPIO 21 indicates Power Supply is active. GPIO 21 = 1 indicates DC 7V to 24V power supply is in use. GPIO 21 = 0 indicates USB power supply in use. 3) High Wattage Power In: Power via the terminal block is a minimum of 7V to a maximum of 25V, 2.5A (24V maximum recommended.) Ideal for use with a 9V, 12 V (hobby power supplies), 19 V (portable/lap-top power adapter) or 24 V power adapter. Can also be used with Solar Panels providing 5V to 24V. 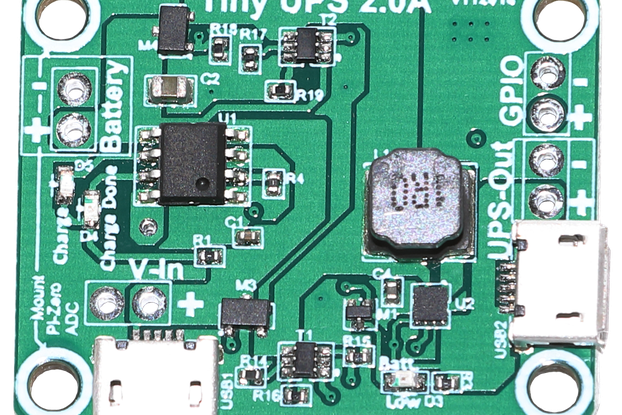 4) Power Out: Provides 5V USB OTG capable power out and 3.3V/700mA power out. 3.3V is independently generated on Pi-BB-RPS board offloading the 3.3V power supply on the Raspberry Pi. 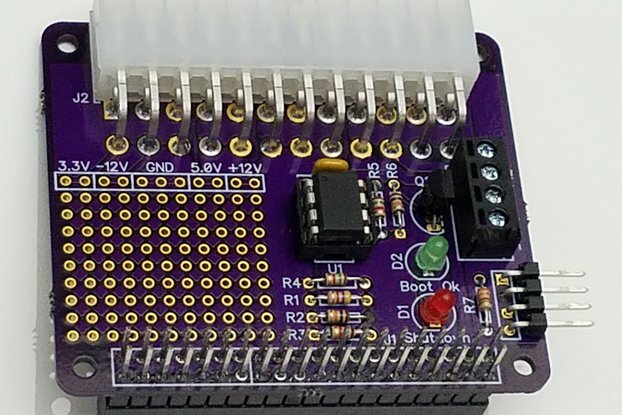 5) Breadboard: More than 80% of the connect-points available on a Half-Size breadboard. Bread board offers 25 columns x 10 rows or a total of 250 points. Five connection points are available for each column, for a total of 50 columns, making it convenient to attach any peripherals, break-out boards or electronic components. 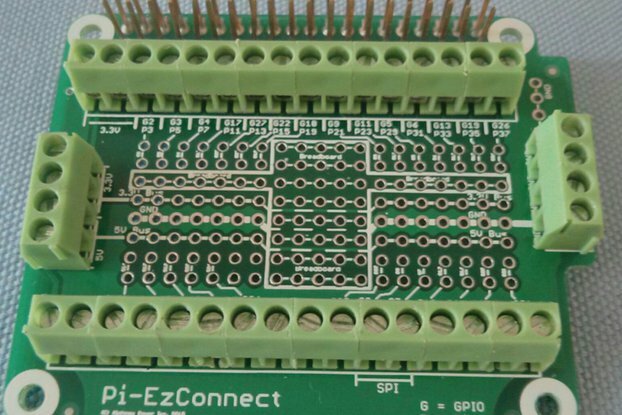 6) Raspberry Pi Header: Includes a 40-pin Raspberry Pi header soldered to the board. Also includes a mirrored header, with solder points. Pi-BB-RPS follows the HAT guidelines. 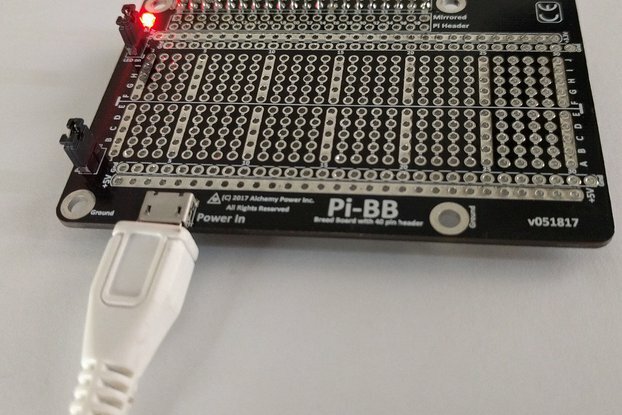 This allows Pi-BB-RPS to be connected to a Raspberry Pi as a HAT or to a flat 40 pin cable (e.g. as demonstrated using a Adafruit Cobbler). 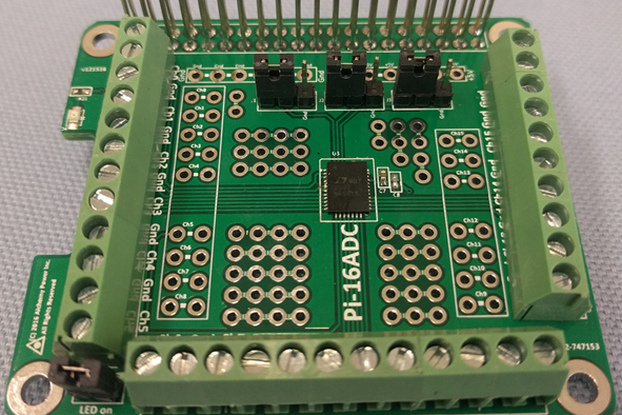 Mirrored Raspberry Pi header allows access to all pins on the Header – including all GPIO’s on the Raspberry Pi. 7) USB Power powers everything: Power the Raspberry Pi, 3.3V bus, 3.3V out, USB-out, 5V bus with any one power supply being active. This includes the USB power or the DC 7V to 24V power. **8) Standard breadboard spacing: Standard 0.1 inch or 2.54mm spacing – makes it convenient to attach resistors, diodes, Integrated Circuits (IC), circuit holders etc. 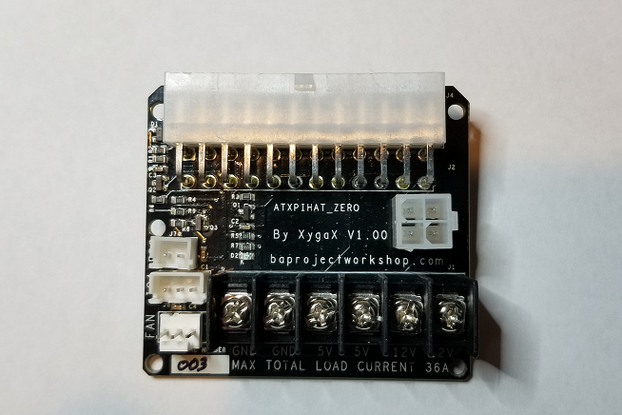 - Arduino style connectors can be soldered onto the board to make it possible to connect to Arduino boards. 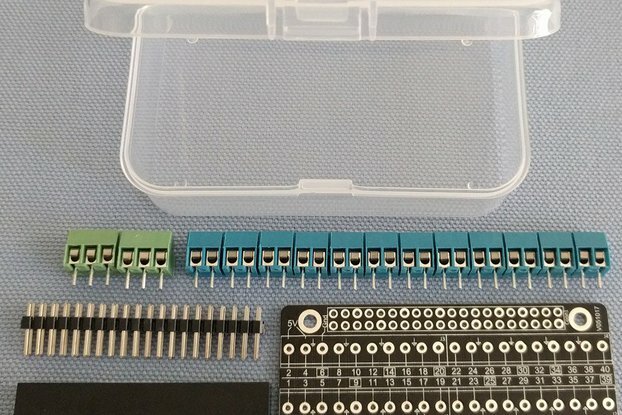 - Arduino style connectors can be attached to create a bread board for use with jumper cables. 9) Dual layer: Solder on top layer or bottom layer. Makes soldering and adding components easy. 11) Dimensions: Same dimensions as a Pi-2 or Pi-3. Mounting holes match the mounting holes on a Pi. 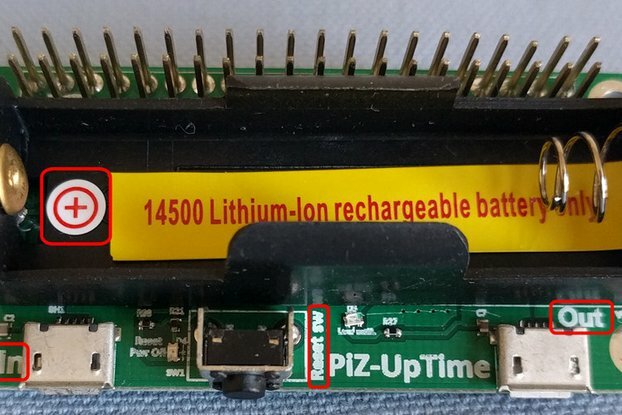 Use with an older power adapter AND the existing power adapter to power the Pi, leveraging the RPS function. Use with a solar panel and a battery bank to power the Pi. Ideal for remote Pi deployment. Use with a battery bank to move the Pi around without having to reboot it. Use to attach Real Time Clock, GPS breakout board, ADC breakout board, Cellular break out board or other breakout boards to the Pi. What will you use it for? Tell me about your use. Share it with others on social media. DC 7V to 24V, 2.5A power Input and the 5V USB power are the two power sources. Primary source is determined by which power supply has a higher Power (Voltage). Secondary power is in standby mode when Primary is on. GPIO 21 indicates which power source is on. Secondary power or stand-by power, consumes very little power. When power fails on first source, the second source continues to provide power. The switch over happens when DC Power-In fails or falls below 6.5V or when USB power fails. Power sources can be a battery bank, solar panels, DC power adapters etc.